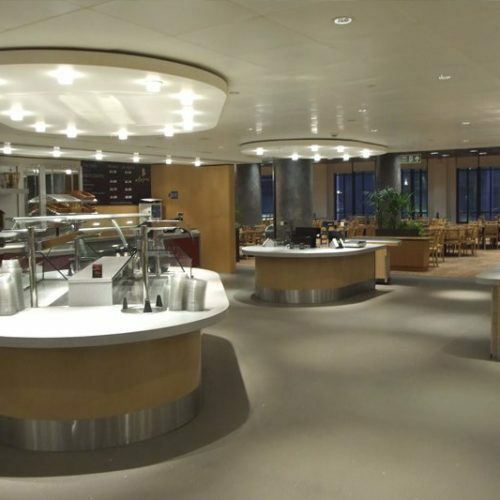 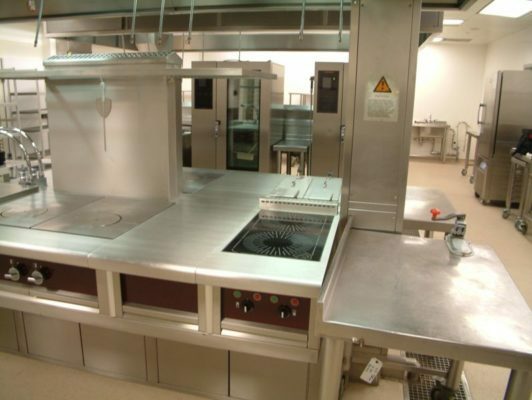 Our brief was to design a ‘cook to serve’ kitchen to replace the existing layout which was dated and worn. 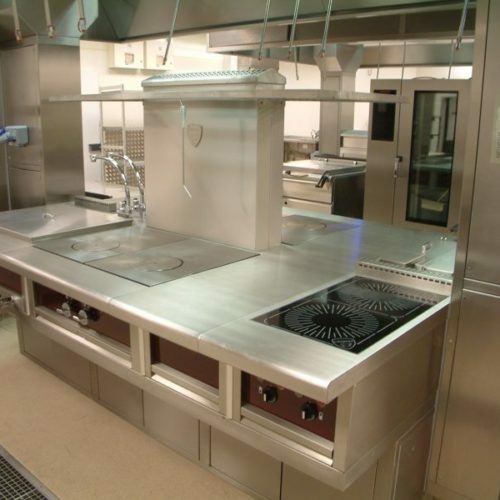 The new TAG design consists of a Charvet, made to measure, semi bespoke range comprising a one piece 3 mm worktop and built in upstand; induction for economy and added flexibility, matched with a high performance pasta boiler. 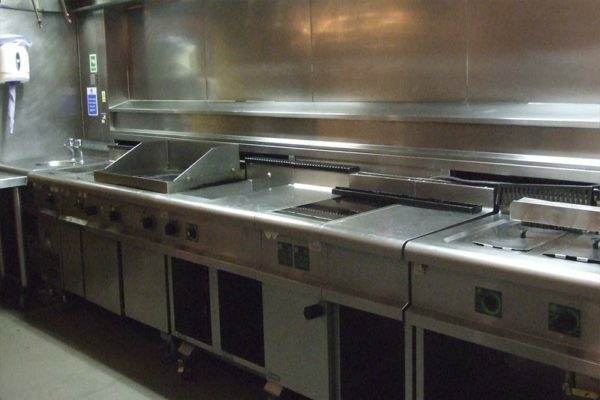 Planchas were installed to cook meat and grilled fish and to give a theatrical look, along with a high production fryer for fish and chip fans! 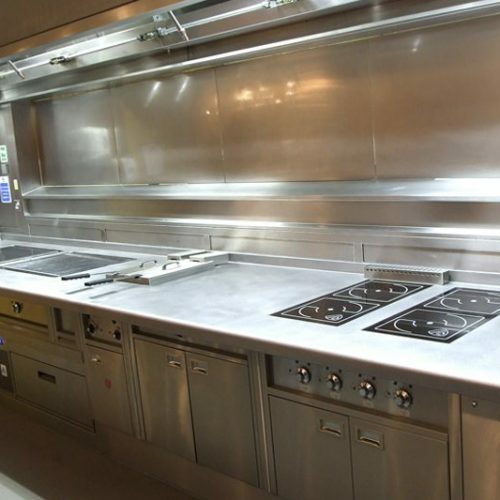 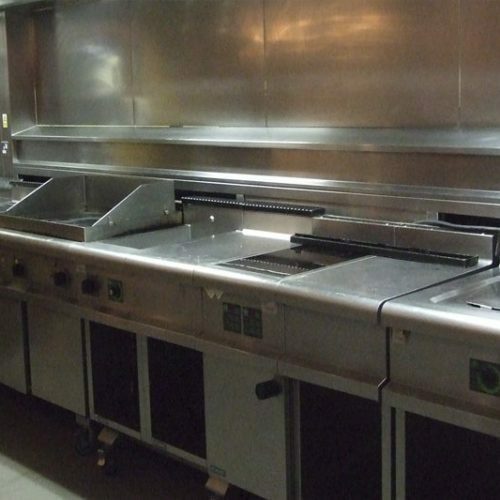 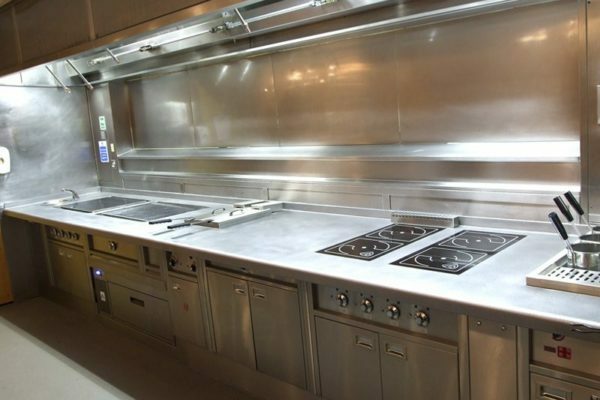 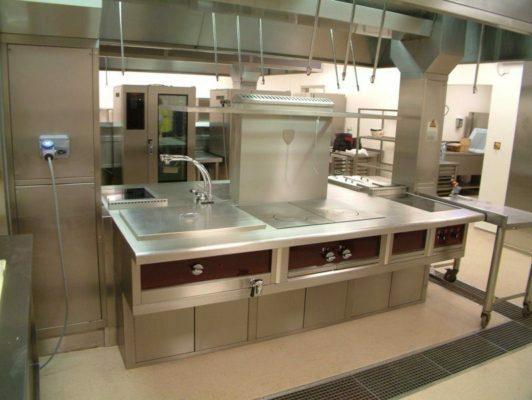 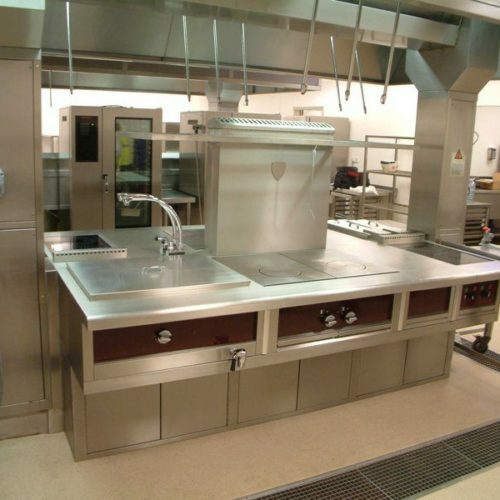 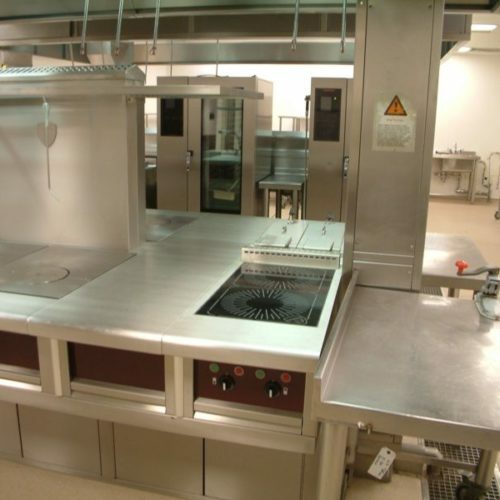 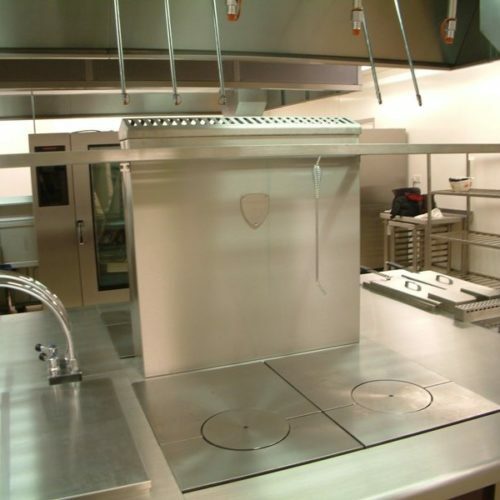 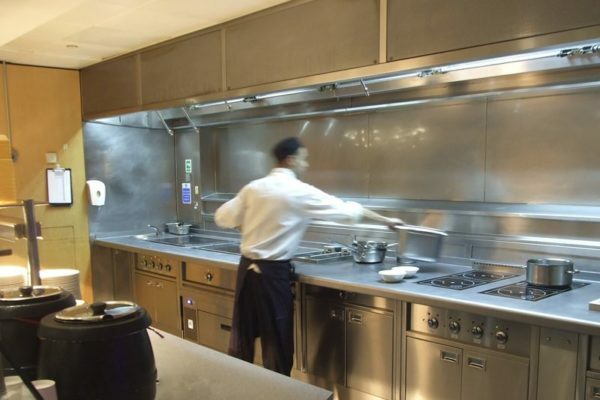 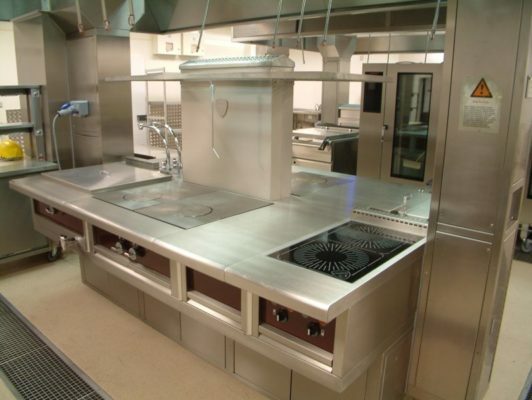 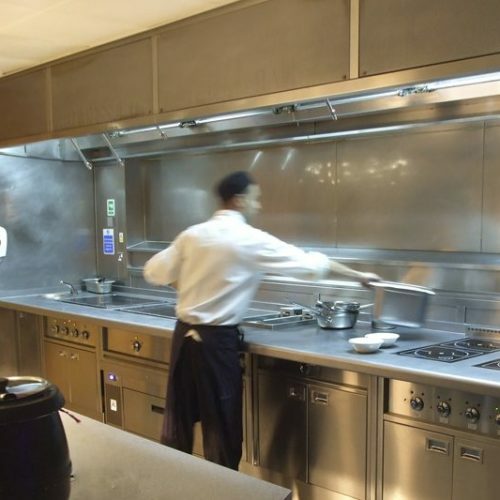 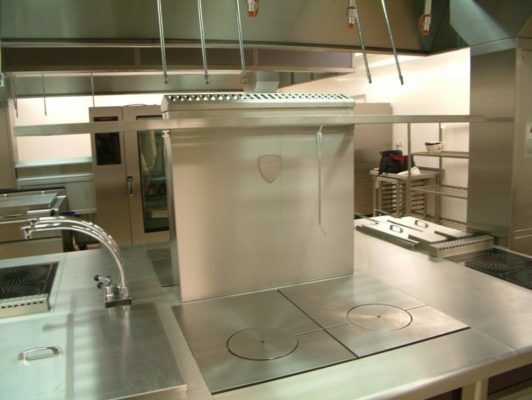 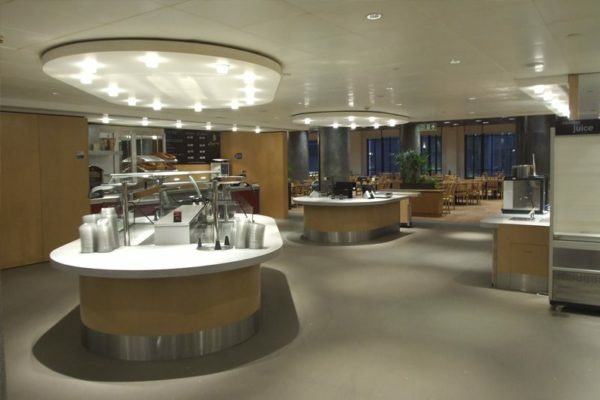 To keep the food production high, in this intense servery area, an Adande service fridge was fitted under the planchas so the chef has all ingredients immediately to hand.